Many of us take health care for granted. In spite of rising insurance rates and health care costs, we have many providers in our community and our insurance helps us pay the costs. However, there are many people in the world, both here and abroad, for whom medical care is not within reach. 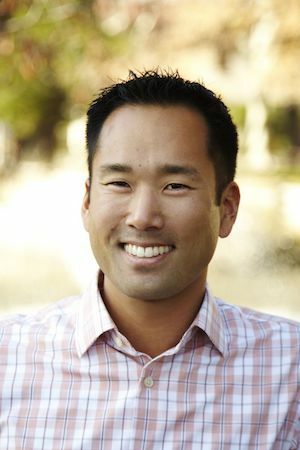 For this reason, DAM swimmer Jason Matsushino, a private practice dentist and professor at the University of the Pacific Dental School, volunteers much of his time making sure dental care is available where it is most needed. Last summer, Jason led a group of students from the University of the Pacific Dental School on a week-long trip to Jamaica to volunteer their time and resources to provide dental care for people who rarely receive it. Jason is part of an organization called Great Shape, which sends volunteers like Jason and his students to Jamaica to provide medical care where such access is scarce*. While in Jamaica, Jason and his students went to four clinics in towns on the south coast. There would be hundreds waiting in line by the time they arrived to open clinics at 8am. For the next 8 hours they primarily did cleaning, cavity filling, filing, extractions, and fluoride treatments. In addition, a group of dental students would go to the local schools, where they would provide dental education and oral hygiene instructions to the school children. They would also hand out oral hygiene supplies such as toothbrushes, toothpaste, and floss. Knowing that access to dental care is not just a third world issue, Jason does not limit his philanthropic work to foreign countries. Here at home, he is part of the Coalition of Concerned Medical Professionals (CCMP). Once a month he opens up his private practice in Sacramento to people in our community who don't receive dental insurance through their employer yet don't qualify for medicaid. In this time of skyrocketing medical insurance, this is a blessing for so many. Jason is from El Sobrante and grew up swimming, starting at age 5 and continuing though high school. After spending time in New York for his residency program, he moved to Sacramento for a job opportunity, and in 2011 he joined DAM. When asked why he comes all the way to Davis if he lives and works in Sacramento where there are several masters programs, he says, "...primarily due to the great coaches, but also the flexible workout schedule and friendly team members." * The World Health Organization recommends 1 dentist for every 2,000 people. In Jamaica there are roughly 165 dentists, which gives a ratio of roughly 1:17,000. However, 90% of these 165 dentists work in Jamaica's urban centers. Furthermore, the majority of them also work in private practice, which the majority of Jamaicans cannot afford. So if we look at the ratio of public service dentists (our version of dentists who accept medicaid) to the general population (especially in rural areas), that ratio is more like 1:53,000. For rural Jamaicans, there is virtually no access to dental care. Jason and his students went to Jamaica to help fill this gap. They already have plans to go again next year.